Get little ones started on their way to outdoor play. 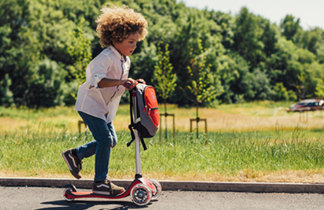 Ideal for beginner adventurers, the Plum® My First Playcentre will encourage active and imaginative ways to play. From 12 months, children can experience their very first swing, at 3 years plus they can climb and slide on their very first playcentre. The playcentre will encourage physical development as children play and grow. The climbing frame comes with a canopy roof for sun protection and a 4ft heavy-duty wave slide is fitted to the wooden platform that can be reached by the built in step ladder. Fabric sides create a raised den. - 4ft heavy-duty wave slide. - Folding baby seat with T-bar and lap belt. - Wooden platform with step ladder and canvas sides. Only for domestic use. Outdoor use only. Minimum user age for frame 3 years minimum user age for baby swing 12 months.